What: The Kentucky Region Porsche Club will be hosting our Driver Education event at Putnam Park Road Course in Mount Meridian, Indiana with Blue Grass Motorsport of Louisville as the Primary Sponsor. While this is a Porsche Club event, we are marquee friendly and welcome other makes besides Porsche. Extras: Blue Grass Motorsport hosts a dinner party on both Friday and Saturday night at the host hotel. Dinner and drinks are provided free of charge to all attendees. Weather permitting, the party is held on the patio with plenty of room to socialize with your fellow participants. We also have some cool track video / multimedia for your entertainment. Good times are always had by all. Follow the link on the top right of this page. Available once registration opens. Printed copies of the following documents will be provided at the event, so printing them is not required. They are provided here for convenience. Tech Inspection will be open all day Friday and Saturday morning at the track. Tech Inspection will also be open Friday evening at the host hotel. Four (4) run sessions each day, 25 minutes each. Three (3) Classroom sessions, 45 minutes each (mandatory for less-experienced drivers). Certified Instructors for all novice and less-experienced drivers. Friday Lapping open to instructors and advanced drivers only. Instructors receive free lunch all 3 days of the event. All Refunds subject to 10% handling charge. All Sales Final one week prior to the event date. The PCA has entered into an association with Lockton Affinity who has created a Driver Education insurance program specifically tailored for our members. 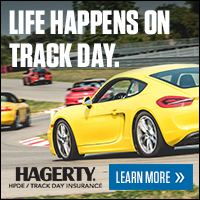 In addition to providing this coverage, Lockton has agreed to offer exclusively to PCA members a 10 percent discount on HPDE insurance premiums. Non PCA members can still receive coverage without the discount. Click here for more information. All registrations must be submitted and pre-paid through the MotorsportReg.com online system. Car sharing is strongly discouraged because sessions are back-to-back without the downtime to change drivers between, plus there's the possibility that both drivers might be assigned to the same run groups if skill levels are somewhat similar. Alternating sessions is disruptive to the continuity of instruction if either driver is of lesser experience. KYPCA Driver's Education is not a race or timed event of any kind. This is an instructional activity with the purpose of developing high-performance car-handling skills. KYPCA Driver's Education is not a racing school and should not be considered as such. Safety of all participants and personnel is closely monitored at all times. There is no place for unsafe/reckless behavior at a KYPCA track event, and we will not hesitate to exclude drivers from participation should we determine in our sole discretion that such action is appropriate. Some suggested items to bring are: chairs of some sort, cooler with water or drinks (bottled water will also be provided), snacks, sunglasses, sunscreen, hat, umbrella, tire pressure gauge, large plastic bag to protect your gear, glass cleaner, rags or paper towels, video or still camera, notepad and pen, quart of oil, friends or family.